We’re trying something new for the schools campaign and ballot. It’s a new engagement tool for your phone to help you maximise recruitment and ballot participation. Digital transformation is not about doing the same things we’ve always done but just doing more of it with new technology. It’s not building an app that replicates your traditional website. It means stripping right back to look at what trade unions look like in the 21st century, and asking what does belonging to a trade union mean? I’m fairly confident this is the first ever news article based on a web pay calculator going offline. A dubious honour, but this is the story of the online world. Work patterns have changed, and unions also have to change – if we’re going to organise and support the workers of the future. WhatsApp is the world’s most popular messaging application with over a billion users. It’s a great way to share information quickly and securely around groups of friends and colleagues. If you’re posting on Facebook, Twitter, Snapchat, Instagram or any other social platform – chances are you’ve received unwanted or even abusive comments – often from complete strangers. For five days eight UNISON staff are working together to decide what a future experience for joining UNISON online should look like. Day one focused on a review of how online joining works at the moment for UNISON members and what kind of vision and goals we might set for a new online join experience. Exciting news! UNISON has been recognised in a very prestigious UK wide list of ‘the leading champions of digital transformation‘. And now we need your votes! Membership organisations like UNISON have long struggled to make sure their members read their communications. And since the digital revolution the problem has only got bigger. Recently, Digital UNISON and UNISONlearning teamed up on a training day for UNISON’s women members at Bletchley Park. Here are some of the highlights of the day. In June we plan to launch a new branch website platform. We hope this will offer powerful features and great design, while still being simple for activists to use. Can we live up to our hopes? Not unless we include branches in the development process… which is what our first ‘HackDay’ set out to do. 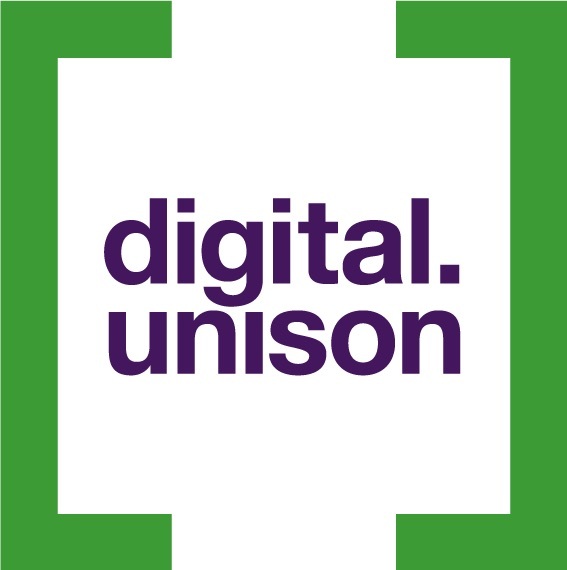 The digital.unison blog aims to collect together views, experiences and examples of great digital work by members, staff and activists in UNISON. It is curated by the UNISON digital team - contact us on digital@unison.co.uk if you have something you want to contribute.